Lydig Side Chair: Chaise Side Chair: Lounge Chair: Giancarlo Studio Furniture: The Lydig Side Chair Is Constructed From Four Distinct Elements And Precision Engineered To Last Forever. Each Leg Is Comprised Of Twelve Solid, Individually Tapered Layers Of Wood Laminated Together Under Extreme Force. The Result Is An Elegant, Curved Section That Is Far Stronger Than A Straight Section Of Wood More Than Ten Times Its Size. The Lydig Side Chair Is Only Available In The Highest Quality Full-Hide Leathers And Cloths. The Timeless Design Expressed By The Lydig Side Chair Seamlessly Integrates Itself With Any Room While Subtly Commanding Attention. 1. 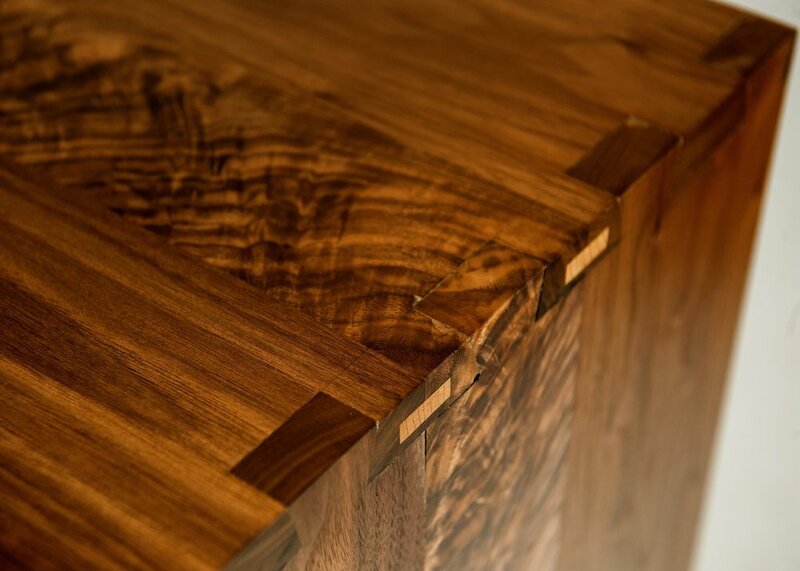 The entire case, shelves, and legs will be made from grade "clear +1" (the highest grade of lumber). 2. The case is 1 7/8" thick. 3. The shelves and middle dividers are 1 1/2" thick. 6. The piece will be finished and view-able from all angles.